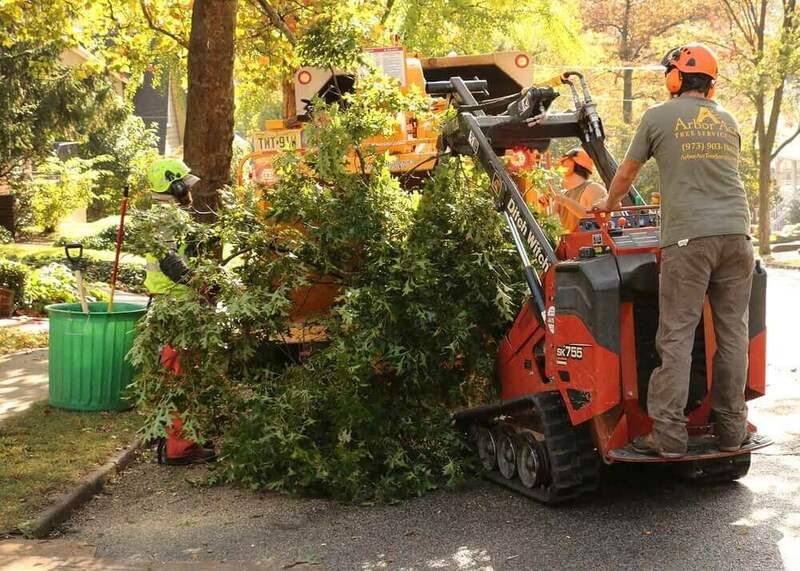 This tool is used to safely remove soil from the base of the tree, as well as, from around the roots. 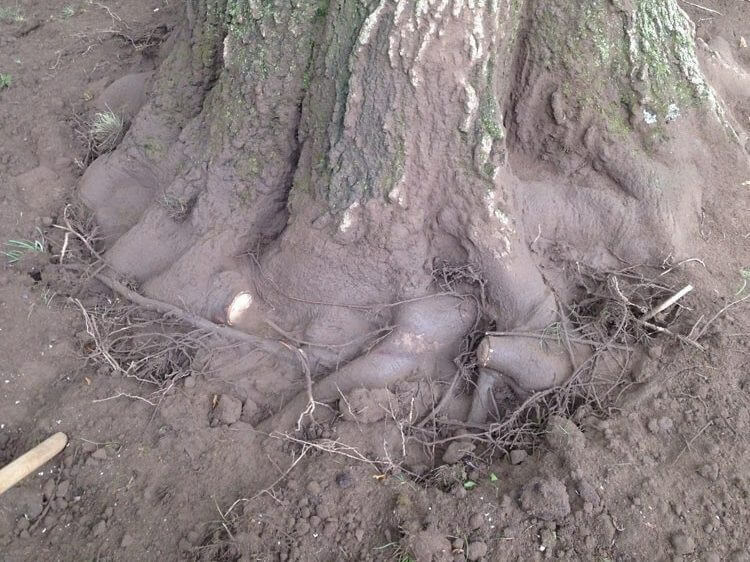 Once we have a clear view of the roots of the tree we can identify any problems associated with the root soil interface, as well as any girdling roots. Think of a tourniquet. 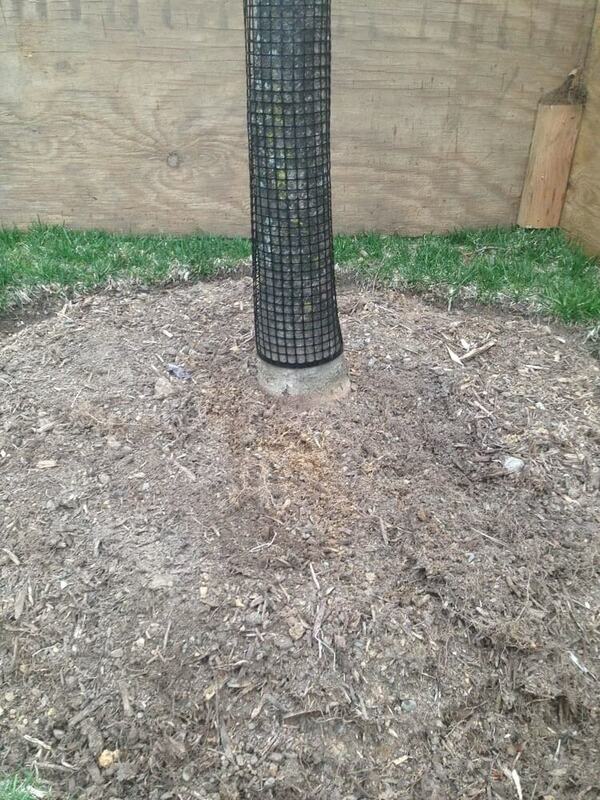 Girdling roots will wrap around the base of the tree trunk underground. Once the tree grows, it will actually push into the cambium layer cutting off the vital flow of water and nutrients to the tree. 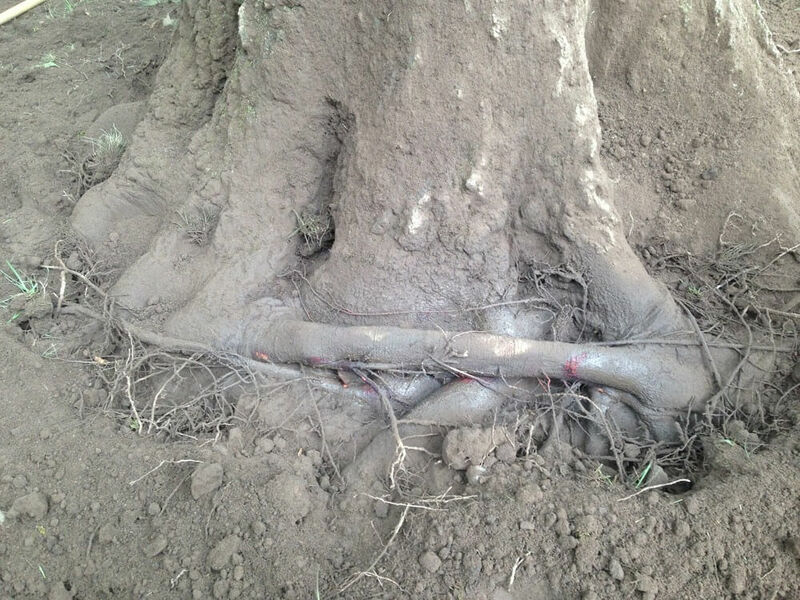 If not taken care of in time these girdling roots can kill the trees.  Compacted soil – this is caused by foot, vehicular traffic, as well as construction impacts. Water runs off of compacted soil and does not readily seep down into the soil to get to the root zone of the plant or tree and even if it does there is now a reduced pore space for it to occupy. It is also harder for roots to grow in compacted soil, as well as a reduced exchange with oxygen in the root zone to the plant. So a compacted soil can hold less water and air than a non-compacted soil which ultimately leads to the demise of the tree. 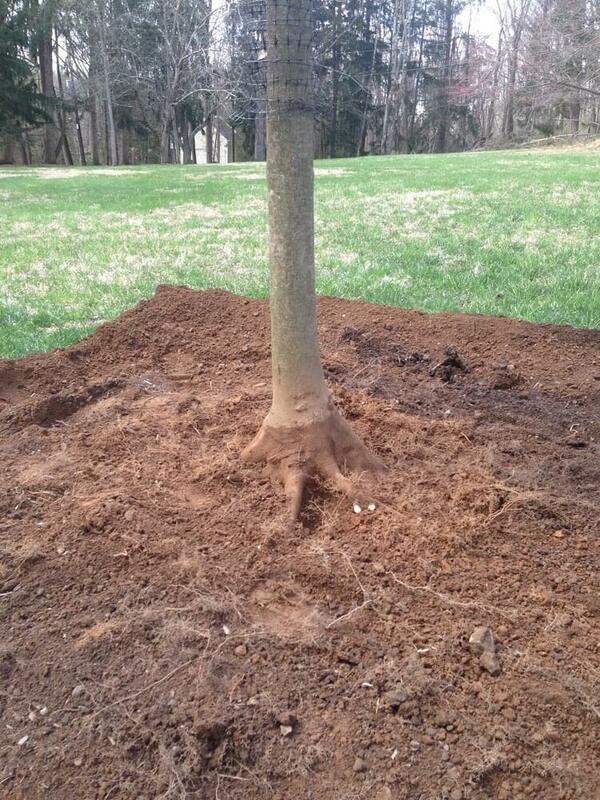 Finding the root flare and setting the tree at proper planting depth after it has already been installed. The build up around the trunk of the tree can be from multiple reasons. 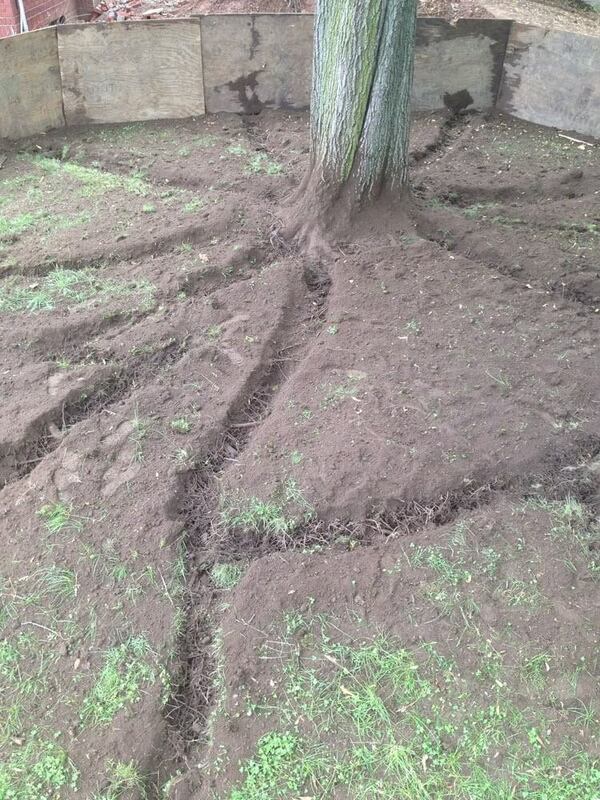 The tree was most likely planted too deep or the constant addition of mulch around the base of the tree breaks down and builds a soil layer up around the base. The problem with this is twofold. First thing is that the tree roots will start growing up through the easier to grow in soil, rather than down in the arching fashion they should. Problem number two is that the trunk tissue cannot handle being wet for extended periods of time and this mulch soil mixture that is breaking down holds moisture against the trunk. 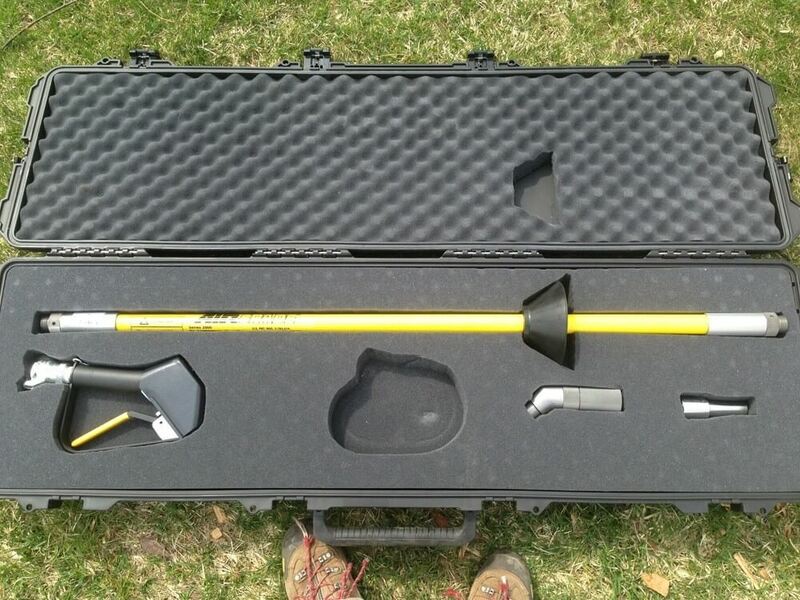 The air spade tool will safely excavate the soil from the root zone without damaging the roots. 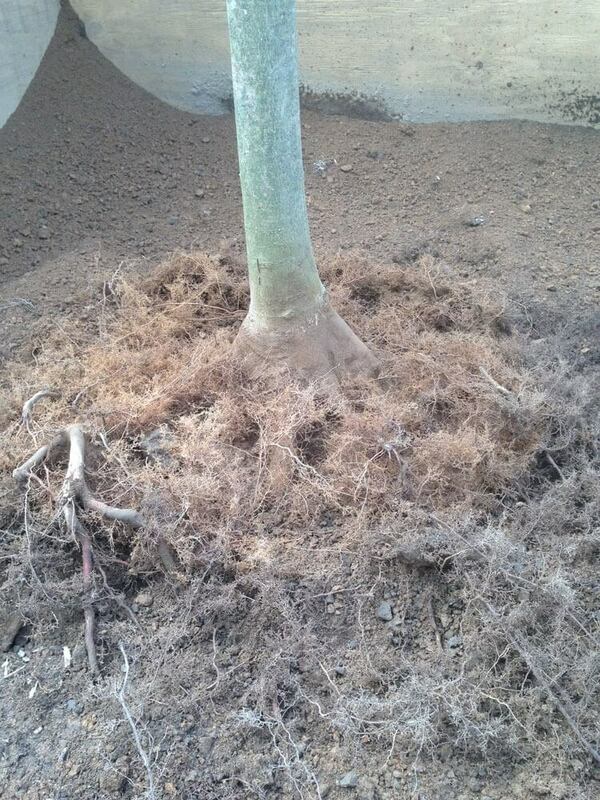 Once the soil is removed, our team will assess the roots and prune out girdling roots where possible, as well as reset the root flare at the proper height. The soil in this zone will now be un-compacted, as it was broken up with the air spade and necessary soil amendments can be made. A tree planted too deep. After air spading. This is called a root collar excavation. After removing adventutious roots from being planted to deep and girdling roots this tree is now planted at the right depth. It was planted about 6 inches to deep as can be seen by the dirt markings on the trunk. Before: Root collar excavation reveals girdling root. After: Girdling root has been removed. Radial trenching to help with compacted soil problems organic material wll be filled into trenches to promote growth.